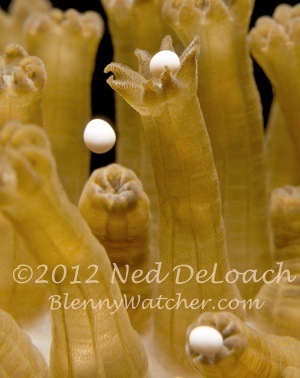 The first coral spawning event Ned and I ever witnessed was in Key Largo, Florida in August 1995. It was a giddy night, punctuated by the thrill of actually witnessing what we had set out to see – something that doesn’t always happen. 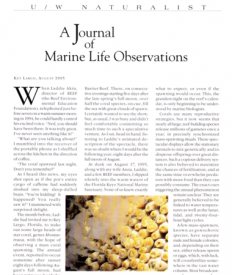 We described it in our 1995 Ocean Realm article (downloadable here). Since then, we have observed fish and invertebrate (including coral) spawning in many different places but the week after the September full moon in Bonaire remains our favorite time. Every year, the main coral spawning events in Bonaire are after the full moons of September and October and the better month, based on conversations with friends who live here, varies from year to year. We are always in Bonaire for the month of September and never observe the October spawning so we have no first hand comparisons. For years, I have used a site called Sunrisesunset.com to see if I could find any correlation of various fish and invert spawning to both moon phase and to sunset times. I compare sunset and moonrise times at a particular location on the day of the full moon because I have a theory that the best spawning occurs when the sunset time and moonrise time on the day of the full moon are within a few minutes of each other. There was a full moon on August 31 this year – close enough to count for coral spawning – and the sunset in Bonaire was at 18:44 and the moonrise at 18:45. The next full moon was September 29 and on that day in Bonaire, moonrise was at 18:03 and sunset at 18:25. So using my theory, which is just that – an Anna theory – the week of September 1-8 would be the better spawning event. 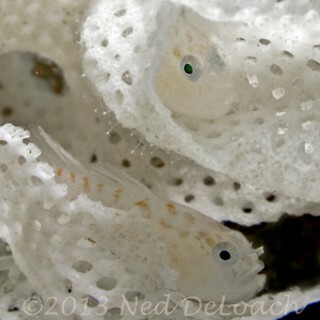 We’ll have to see if our friends who are in Bonaire for the October spawning will let us know how it compares. 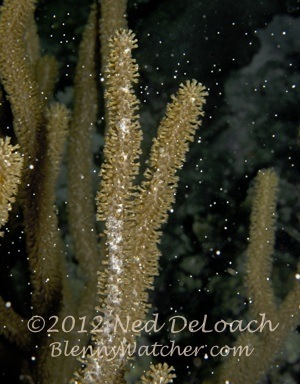 Sea rod spawning – extreme close-up! This year, we observed star corals, brain corals, gorgonians, flower corals, brittle stars, sea cucumbers and sea spiders spawning. 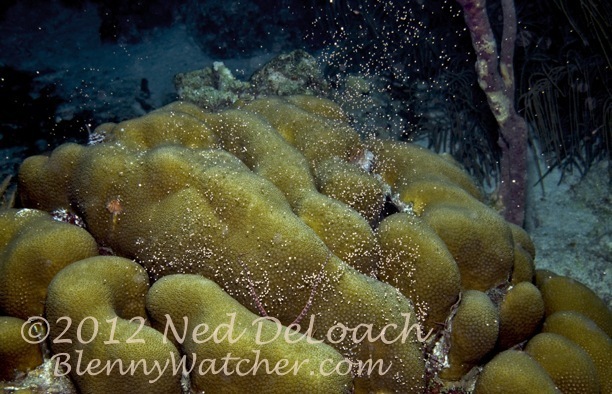 We’ve seen the male Touch-Me-Not Sponges spawn every year in the middle of the afternoon but this is the first year we saw females releasing their eggs. 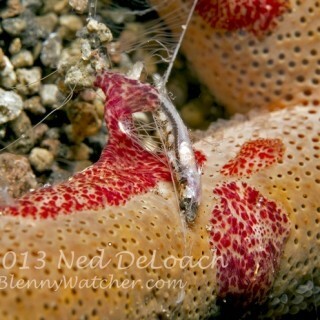 I also managed to get a little video of brittle star spawning – this was a big deal for me. 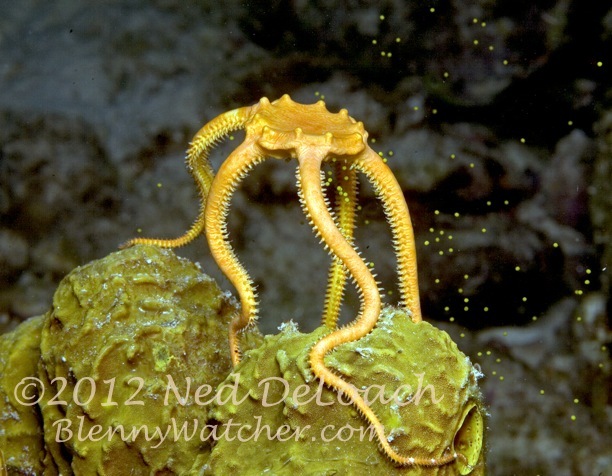 Where we dive, brittle stars hate light – they will stop and drop back to the reef the second a diver hits them with any light. Still photographers can get a shot if they don’t use a focusing light and are clever about setting up for the shot. I gave up on video years ago but decided to try one more time this year – using a combination of a dimmer light and sneaking up on them in the dark. Something I will never be able to capture on video are the bioluminescent courtship displays of male ostracods. Also known as seed shrimp, ostracods are tiny crustaceans that live in the sand and spawn after certain full moons. I have known about their displays for years but until this year had never taken the time to swim out to a dark part of the reef, turn off my lights and hover. Within 20 seconds, the water around me was a shower of blinking strings of lights. The spectacle lasted twenty minutes and it was simply beautiful. I will do it every year from now on. You can read all about ostracods and see a cool illustration of what their display looks like, by clicking here. 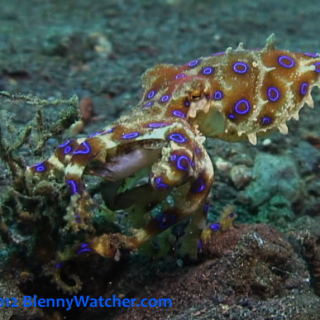 Hi Ned and Anna – spent two weeks in Koh Tao and Koh Samui and the diving not a patch on Sulawesi – this is the most incredible video (of the brittle star) Anna. Hi Vicki! 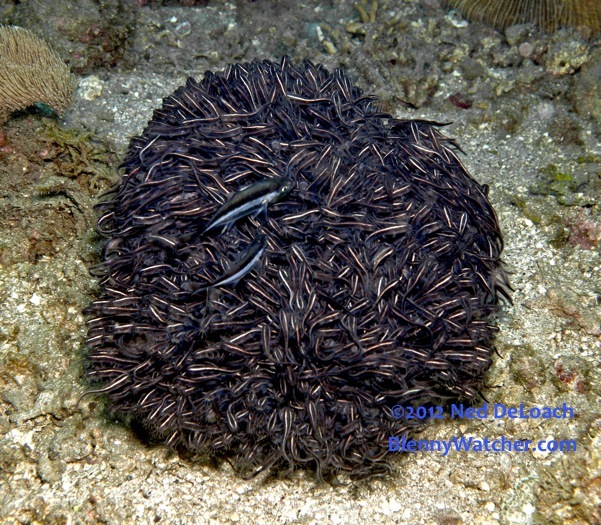 The spawning took place over the week following the full moon – some nights we did make two back-to-back dives so total time underwater on any given night was 3 to 4 hours. So much fun! Hope to see you underwater again soon.